Rinjani Mount Hiking Route via Lombok Tengah is Officially Opened. Lombok (LOFT) (25/5) - Lombok Tengah Regent's, HM Suhaili open the route of Rinjani Mount Hiking via Lombok Tengah officially. The inauguration of this route was made at the opening of the tent of Enchantment Bangun Desa in Hamlet Village Pemasir Lantan District of North Batukliang (BKU) by HM Suhaili, Friday (20/5). Welcome to Rinjani. 3726 mdpl. Gunung Api tertinggi kedua setelah Gunung kerinci. New hiking path that will be unveiled on Friday, May 20, 2016, in the village of Aik Berik, District Batukliang, for about 35 kilometers, east of Mataram, provincial capital of NTB. A hiking trail in the area will also be loved by much of climbers, both domestic and foreign tourists because of Rinjani Mount is currently under assessment by UNESCO as a Wolrd Geopark. "Yesterday a team of assessors UNESCO has been to the location of the entrance to the hiking trail in Aik Berik, if Rinjani managed so Wolrd Geopark, there would be multiple economic effects," said deputy of Lombok Tengah Pathul Bahri. 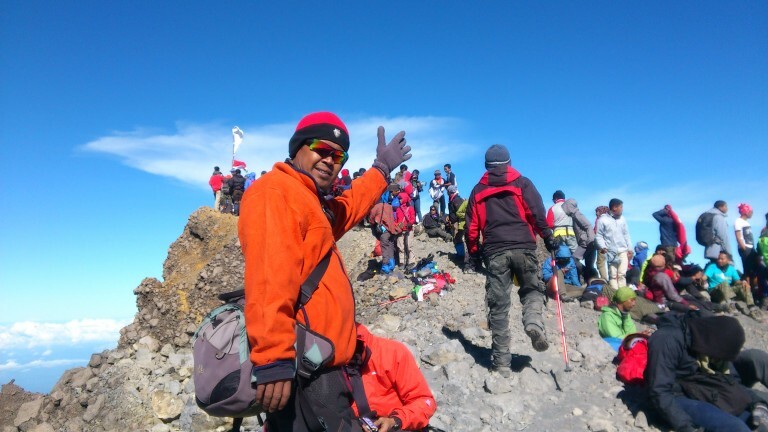 Meanwhile, Head of Administration BTNGR (National Park of Rinjani Mount) Mustafa Imran Lubis said, that Lombok Tengah regency government has a commitment to help for preparing the facility for observation post and "shelter" or resting place for hikers at certain points of the hiking trail. Regent of Lombok Tengah said, that the route was like a down the route of Dewi Anjani while descending Rinjani Mount to visit the prince "Siledengdeng" in South Beach. "That is why the hiking route with this route will be very beautiful and could be deliberately embellished because lane commute of Dewi Anjani," he said again. He also said: "Various flowers and for about 72 species of butterflies as well as dozens of species of birds and other animals such as deer still roam because many forests are well preserved". "The most charming is, we could pass 6 of waterfalls and one of the watrerfalls is three-tiered and it was only at our new route," . The climb will through from the village of North Batukliang Lantan, can be passed by all of family because it is very safe, the closest path than the existing three route, so it was suitable for those who are not used to doing the climb or hiking. Someday, the route also can be passed by the trail motorcycles and four-wheel all-terrain vehicles to Pelawangan "Batu Belah". "In the past, only who regularly hike can enjoy the beauty of the Segara Anak lake, but with this route, we all can reach and see it," said the regent. After reached the "Pelawangan Batu Belah", we have to stepping down to Segara Anak lake with down stairs that will be built with beautiful as possible in order to become more attractive. For those who want to continue the journey to the summit of Rinjani, we will provide a speed boat to cross the Segara Anak lake to the foot of Rinjani Mount. "Then climb to the top of the mountain rinjani,". To maintain the security and comforting of visitor for hike the Rinjani through this new route, along the road will be monitored by surveillance cameras. Additionally, every kilometer will be supplied a minimarket, so do not worry about running out of supplies. Not only that, free internet wifi also will be installed starting from the start to the summit of Rinjani. "So along the hiking to summit of Rinjani we would could selfie then preached to the world,".